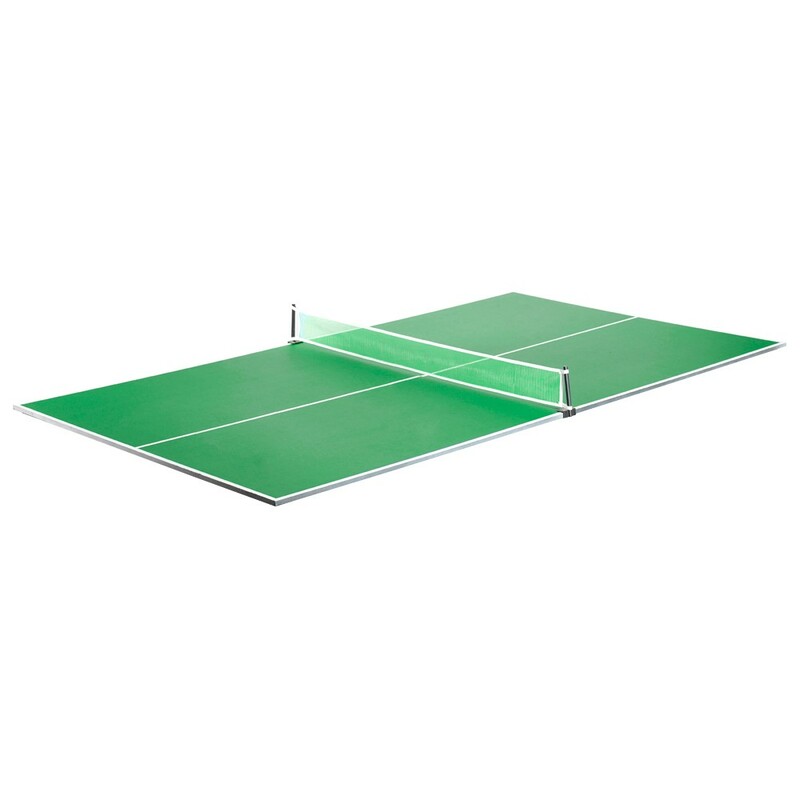 The durable, regulation-size Table Tennis Conversion Top is constructed from CARB certified 1/2-in thick MDF covered in a PVC laminate to ensure consistent play and protect from warping. 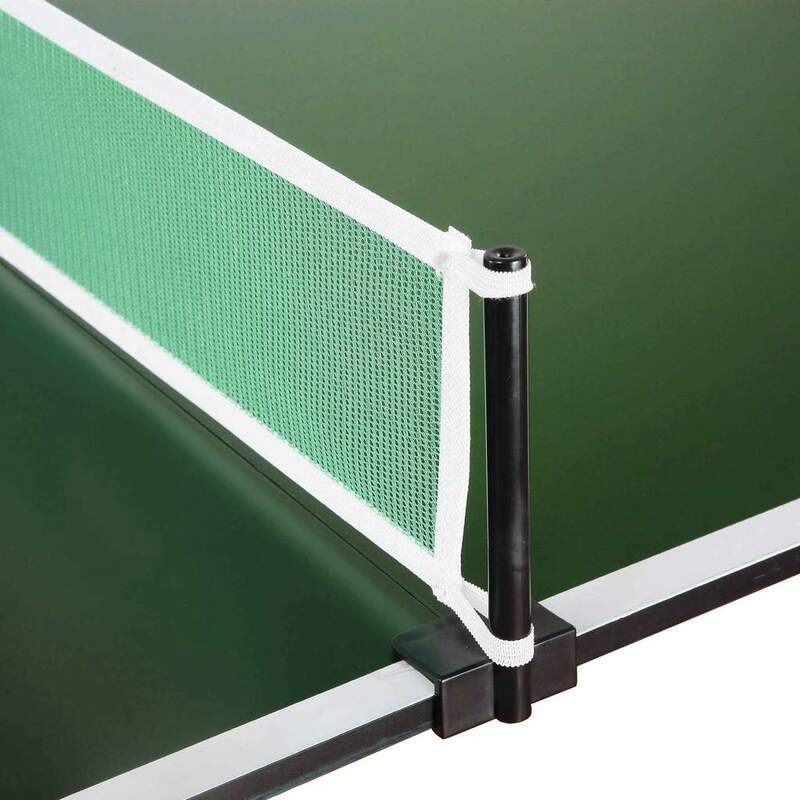 The 4-piece hinged design makes set up and storage quick and easy. 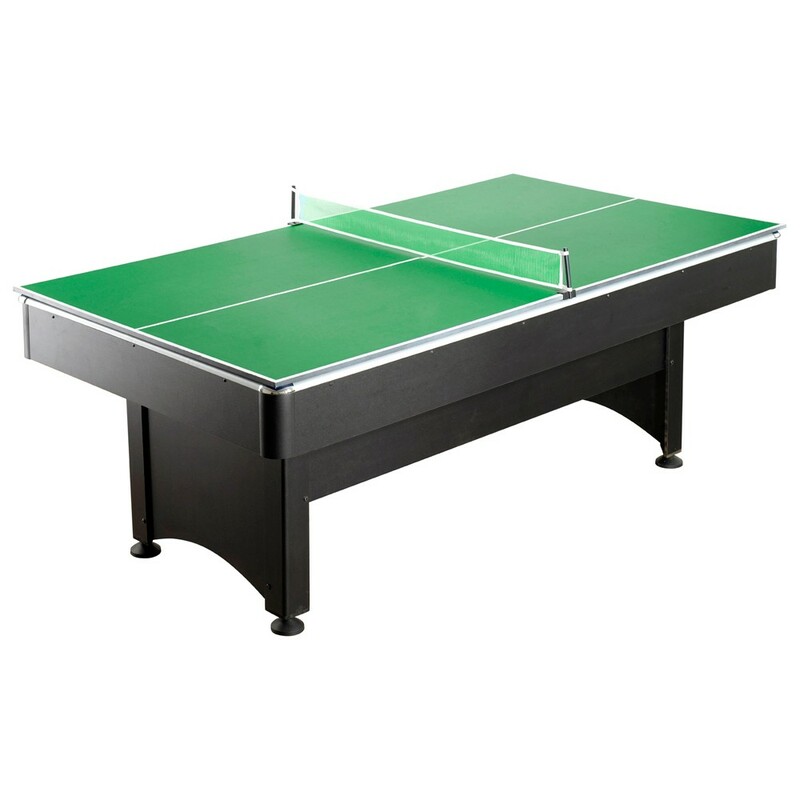 The Quick Set Conversion top turns any 7-ft or 8-ft pool table into a fast action table tennis table (pool table not included). 180-day limited warranty.